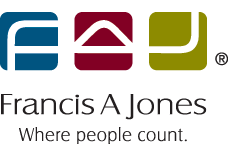 The team at Francis A Jones is here to provide all the BAS and GST help you need. The GST has been part of business life in Australia for more than 15 years, whether you are a sole trader or a large company. Many aspects of GST can be relatively simple, after all, it’s just an addition of 10% to most goods and services – however the devil is in the detail. 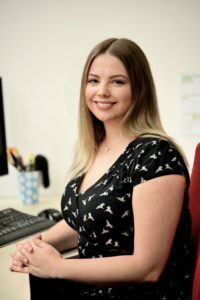 As a business owner, you are expected to understand the GST rules, classify every income and expense item, have a system to record these, prepare an accurate Business Activity Statement (BAS) on a regular basis and submit it to the ATO – as well as trying to run a successful business. Is milk subject to GST? No. What about if it’s flavoured? Yes. If it’s added to coffee? Yes. It’s no wonder the ATO put many resources into audit activity on lodged Business Activity Statements. Lodging your BAS is a compliance based activity that doesn’t add value to your business. As a business owner, your time can be better spent in other ways, like working on your business or spending time with your family. The FAJ bookkeeping team can attend to all of your business and GST related needs including ABN and GST registration, and preparing and lodging Business or Instalment Activity Statements. Our bookkeepers are trained by CPA qualified accountants in every aspect of bookkeeping, GST and basic taxation, and are backed and supported by the entire FAJ team. To get the most from your business we highly recommend that you engage our bookkeeping service under one of our fixed priced bookkeeping packages. Our low monthly fees include all of your compliance needs, including BAS preparation, financial statements and lodgement of tax returns. And you will know that your BAS has completed accurately and on time, so there’s no nasty surprises from the ATO. Visit our contacts page for more information about BAS and GST help. Do I need a Binding Death Benefit Nomination? Can I move overseas and keep my self managed super fund?